If recording a sidewall core, enter a single depth at which each sidewall core was taken. Enter this in the "Interval Top" field. 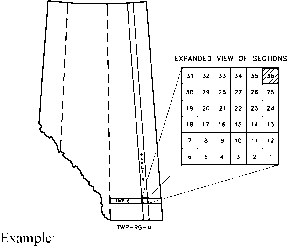 Cores in oil sands areas are usually cut in 6 m runs for 80-90 m. Record the cored interval as one interval, indicating the top and base of the interval. Enter the number of the cores cut in the chronological order that they are cut. If additional cores are cut on a new leg (event), they must be renumbered beginning at 1. Click Yes if coring method is sidewall. Click No if method is other than sidewall. Enter the top of the interval of the wellbore that was cut in metres kelly bushing. Enter the base of the interval of the wellbore that was cut in metres kelly bushing.